This Funny Reindeer male figure holding a gold round tray would be ideal standing next to your Christmas tree or to use to advertise a visit to see Father Christmas at his Grotto. 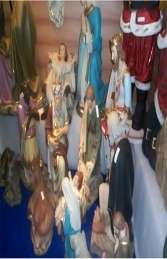 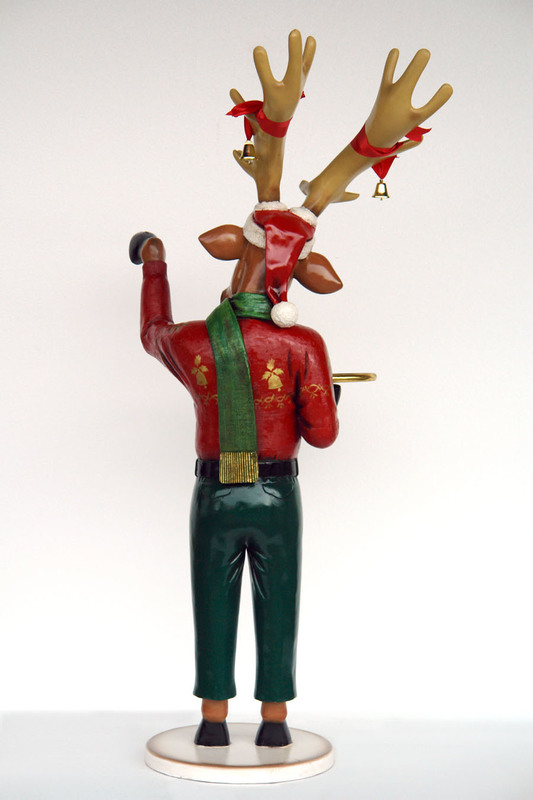 In his green trousers, red Christmas jumper with a gold design with a green scarf tied around his neck. 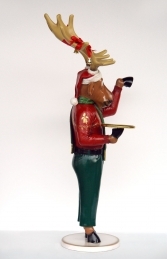 He is holding a gold round tray and to finish his Christmas outfit off he is wearing a Christmas hat with his antlers sticking through. 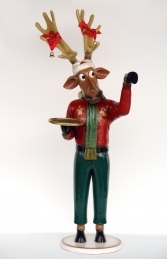 This jolly Funny Reindeer male figure can either be used at home or in a Christmas grotto or shop display window. The Funny Reindeers antlers are removable for easier transportation and storage. Why not pair him up with our Funny Moose Butler (JR 2259).